The album adds Norwegian guitarist Eivind Aarset to the line-up of Sheppard’s widely acclaimed Trio Libero (refer to the 2011 recording of the same name, ECM 2252), making a new quartet with a different emphasis. “I see the quartet as the next step on from Trio Libero. 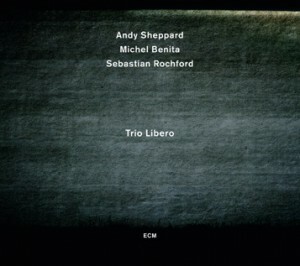 Libero started out as an improvising trio. A lot of the material was drawn from our improvisation and turned into tunes. With this new album I wanted to retain the same musicality but move things in a new direction with the addition of harmony and subtle grooves.” With Sheppard’s compositions and direction to the fore, and Aarset’s ambient drones and washes of sound integrated as quasi-orchestral elements, priorities have shifted. The addition of a fourth player has, paradoxically, opened up more space in the music. 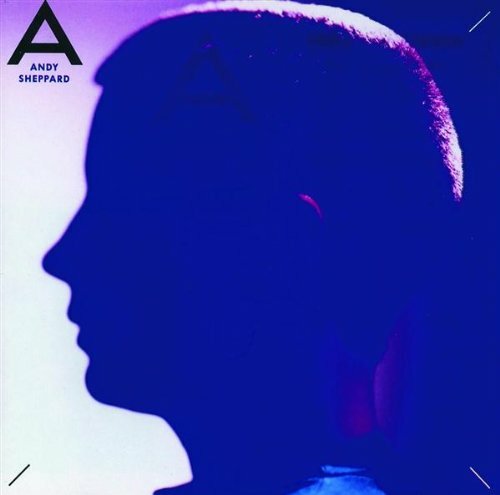 Eivind’s textural soundscapes, his subtly layered guitar and electronics, seem to give Sheppard more room to move as well as a harmonic foundation to play off. UK saxophonist Andy Sheppard’s second ECM album introduces his freely lyrical new trio with Michel Benita and Sebastian Rochford. All three players share a sense of stylistic open-mindedness. Drummer Rochford is one of the young players changing perceptions of British jazz with bands Polar Bear and Acoustic Ladyland, while Algiers-born French bassist Benita, who cites Charlie Haden and Scott LaFaro as influences, has played with Archie Shepp, Dewey Redman, Lee Konitz and in the ELB trio with Nguyên Lê and Peter Erskine. Repertoire here includes originals by Sheppard, Benita and Rochford, plus group improvisations and the standard ‘I’m Always Chasing Rainbows’. In all contexts, interaction is highly creative, as Benita and Rochford respond perceptively to Sheppard’s melodically and rhythmically inventive lines. Although Sheppard set up a residency for the trio at Snape Maltings, Aldeburgh early in 2009, to explore the group’s creative potential and to develop repertoire, this debut album was not recorded until July 2011 at Auditorio Radiotelevisione Svizzera, Lugano. Andy has written stunning new repertoire for a starry international band that features long-term collaborators guitarist John Parricelli and tabla virtuoso and percussionist Kuljit Bhamra, alongside two of Norway’s finest – the shimmering, other-worldly textures of guitarist and electronics artist Eivind Aarset, and legendary bassist Arild Andersen. The music for this extraordinarily gifted line-up bears all Sheppard’s famed characteristics – melodic themes, inventive use of texture and an unerring sense of rhythm which sets the pace for world jazz at its inclassifiable best. (4 stars) They concentrate on simplicity of line, purity of sound and depth of feeling in these pieces. Following a series of highly acclaimed duo gigs in 2002, saxophonist ANDY SHEPPARD (‘a formidable and fearless jazz improviser’) and JOHN PARRICELLI (‘an imaginative and resourceful writer as well as a fine guitarist’) further their long-standing musical association with P.S., a new studio album for Provocateur Records. Already described as ‘a fascinating collaboration between two of the most creative musicians in UK jazz’, P.S. is a clearly articulated, lyrical, atmospheric and absorbing exploration of a wide range of influences, including jazz, Latin and ambient music. Recorded in January 2003, the album features John Parricelli on acoustic and electric guitars and Andy Sheppard on tenor and soprano saxophones. Recorded and mixed at Christchurch Studios, Bristol, the album combines familiar Sheppard hallmarks – devastating melody and saxophone solos that are muscular and uniquely lyrical by turn – with an inventive and completely personal use of new technologies. Across the nine tracks – eight Sheppard originals plus an up-to-date version of the Harry Warren-Mack Gordon classic I Wish I Knew – Andy’s saxophone improvisations are woven through and into samples of street sounds and spoken word, half-heard conversation, washes of electronic sound, tape loops and programmed beats. Accompanying Andy – who plays tenor and soprano saxophones, WX 11 Wind Synth, electric guitar, midi guitar and keyboards – is French drummer and percussionist Stephane San Juan. In part, Nocturnal Tourist builds on a solo performance that Andy has developed over the past two years. It also relates to the music that has emerged from collaborations with worldbeat DJs Rita Ray and Max Reinhardt, his duets with pianist Joanna MacGregor and the piece he created with Northumbrian piper Kathryn Tickell for a multi-media performance to celebrate the opening of the new Millenium Bridge on Tyneside earlier this year. Further inspiration for the album comes from Andy’s travels worldwide and the extraordinary range of musical partners he has encountered along the way. Music for a New Crossing (PVC2001) is the title of a forthcoming limited edition CD (1000 commercial copies) from saxophonist Andy Sheppard and Northumbrian piper Kathryn Tickell. The CD is to commemorate the opening of the Gateshead Millenium Bridge. The music was commissioned jointly from Andy and Kathryn by music north, the presenting and producing arm of Music Centre Gateshead, England’s new international home to all kinds of music performance and education due for completion in 2003. The work also commemorates the opening of the Gateshead Millennium Bridge. Andy and Kathryn will premiere the piece live on Gateshead Millennium Bridge on Friday 14th September 2001 as part of a weekend of musical activity running up to the public opening of the Bridge on 17th September 2001. Recorded at Bristol’s Christchurch studios during July 2001, the CD features three tracks and over twenty minutes of music. 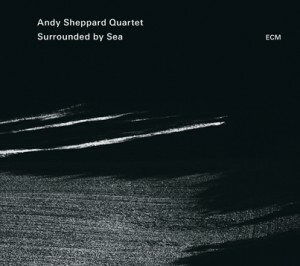 This album finds Andy Sheppard developing characteristically fresh ideas within territory familiar to Sheppard aficionados – irresistible melody and irresistible grooves inspired by music from India, Latin America and Africa, with solo statements that are muscular and compellingly lyrical in turns. Featuring two special guests, the legendary American bassist Steve Swallow, and the stunning young tabla player Kuljit Bhamra in addition to the line up seen on Learning To Wave. This exciting band, featuring Sharda Sahai on tabla, creates a truly fresh and individual sound. Featuring Sheppard’s playing and his lyrical composition at its very best, the warm tunes and passionate playing form a rich tapestry that makes this album beautiful and unique. The music for Moving Image was composed by Andy Sheppard and Steve Lodder for television, and grows out of their established musical partnership as Small Co-Motion. The music for “The Peter Sellers Story”, first shown in 1995, underpins a fascinating series that uses unique footage from the revered actor and comedian’s home movies, as well as film extracts, rehearsal takes and interviews. “Dazzlingly directed by Peter Lydon it worked superbly on many levels – biographical, historical, psychological the brilliant score relaxed the programme, yet had its own complex structure.” (Victor Lewis-Smith in the Evening Standard). Steve Cole’s film about Joseph Emidy, documents the extraordinary life of an African musician, born around 1775 (violinist, cellist, composer), who travelled as a slave from his 1 native Guinea to Brazil, then to Lisbon (where he learnt violin) and thence, via the press gang, to Falmouth in Cornwall – where he settled as a musician, composer and teacher respected throughout the county and further afield. With none of Emidy’s manuscripts extant, the music is designed as an imagined response to the kind of music that a person of such varied provenance might have created. The combination of acoustic and traditional materials with contemporary musical technology is an arresting rarity in itself. Listen to Vasconcelos quiet, breathy vocal sounds and Sheppard’s poignant soprano at the beginning of the opening track ‘Where We Going’,turning into a dancing, country tinged theme that Pat Metheny or Keith Jarrett would have raised both eyebrows at, and the Brazilian’s cymbal smacks in the climax make the music fizz from the speakers. The same sunlit, freewheeling atmosphere, though at a much more leisurely tempo, envelopes ‘Slowboat,’ with its water-drip sounds from Vasconcelos and Sheppard’s heat-haze horn, and the harp-like music of Lodder’s keyboards. Like many Sheppard pieces, this one subtly changes its character when you’ve just got used to trailing your fingers in the water intensifying to a reserved passion by its final. The music moves through much more rugged, urbanised funk though even here, Nana Vasconcelos’ backbeat has a deeper, softer resonance quite different from the usual whiplash sound, and into a languorous African feet with chanting voices drifting in and out of the ensemble, and the beginning of a phase of gentle, rhapsodic playing from Sheppard that includes some of his best slow improvisation on disc, culminating in the soprano sax gliding over keyboard sounds that resemble French horns, and Vasconcelos’ shakers suggesting a fast moving steam locomotive somewhere in the middle distance. The music ends with a gleeful rumba, a characteristically affectionate Sheppard adaptation of a popular form with a long history. Even by now, these three artists will be painting a different picture in music, but just as rich and full of gentle surprise. Because they never stand still, and they never stop listening to the world around them, they know how to go on making sounds with this fresh and graceful energy. Keep checking them out. All titles composed and arranged by Andy Sheppard, published by Blue Mountain Music except ‘Hop Dreams’ written by Andy Sheppard and Steve Lodder, published by Blue Mountain Music and Copyright Control. Dedicated to Prince Vasconcelos des Bois. It was inevitable Andy Sheppard would make an album like ‘In Co-Motion’. His career has always been fuelled by a restless imagination, the creative desire to explore new musical avenues and attitudes. Following the completion of his last album, the big band recording ‘Soft On The Inside’, Sheppard switched his focus to a new ambition. Through the latter months of 1990 he wrote a series of compositions for a new small group. Its line-up, however, was to be a significant departure from the groups with whom Sheppard had previously worked. As the writing progressed he enlisted Steve Lodder on electric, keyboards and acoustic piano, together with Dave Adams on drums. Sheppard had played with both musicians in the George Russell Band and Lodder had also worked on the ‘Introductions In The Dark’ and ‘Soft On The Inside’ albums. Sheppard then invited the trumpeter Claude Deppa to join the new group; Deppa’s abrasive style had also distinguished Sheppard’s big band project. The line-up was completed by Sylvan Richardson Jnr. an electric bassist from Manchester, who was hired virtually by word of mouth. “I needed someone with a strong concept of how the bass should be played and Sylvan was recommended to me, by a number of people. I more or less hired Sylvan without hearing him play”. The recommendations proved accurate. Richardson, whose previous credits include such diverse groups and artists as Simply Red and Gary Boyle, plays six string electric, bass. The instruments musical range allowed Sheppard to be much more extravagant In his writing for the group, which made its live debut inl France at the start of 1991. Through it all, however, lies the indelible thread of Sheppard’s own musicianship; his power of invention allied to the distinctive timbre of his playing, provide, a rich vein of contemporary Jazz. In Co-Motion signals a new chapter in the evolution of Andy Sheppard’s music. The trumpet players contrast nicely, Claude Deppa’s flamboyance (“He’s got this amazing fire,” Andy says, “He screams!”) balanced by the gravitas of Kevin Robinson (“Very precise, he kind of keeps Claude in check”). Gary Valente, usually a mainstay of Carla Bley’s Band, is the hard man of the trombone, yet passionate rather than garrulous. Prepared to plead as well as rant. Apart from the Peruvian?born guitarist, Mano Ventura, the remainder of the band is built around Andy’s regular sextet ? with African roots suggested by the marimba that Orphy Robinson always keeps alongside his vibes and the gallery of percussion presided over by Marmadi Kamara. The emphasis elsewhere is on doubling, or in the case of the saxophones, trebling up yet with a difference. So the acoustic piano is partnered by a synthesizer, the double bass by a cello. And there are two kit drummers, usually a risky tactic but succeeding here because of the way Simon Gore and Han Bennink complement rather than compete with on. Another. Bennink, just like the cellist Ernst Reisjeger has for quite a few years now been part of the jokey tradition of Dutch avant garde Flaying, witty, ironic, and above all unpredictable. Yet few drummers can swing a band so fervently, so ferociously. It was a fascinating glimpse into the creative process. Each time 1 heard the band play, for example, the beautifully structured complexities of Romantic Conversation Between a Dancer and a Drum or the coruscating Rebecca’s Glass Slippers, the music had grown tighter, the interplay more empathic, the sheer level of performance more accomplished, all of which is instantly evident on the recorded versions here. The wild card thrown in for the sessions lay in the introduction of four new players to the music. Vibes player Orphy Robinson returned from the earlier record, and managed to squeeze in a couple of pre?session gigs; the multi?talented Dave Adams confined himself to additional percussion on this occasion, while guitarist Chris Watson and synth player Steve Lodder (all three had played with Andy in the George Russell Orchestra) contributed to the highly contemporary sound which the saxophonist particularly wanted to capture on this recording. The expanded unit build on the solid core carved out by the quintet, realising the textural potentials, which Andy could hear within the music. The results speak for themselves. You won’t find any impeccable bop reconstructions, but a music, which brings together the widely diverse sources and influences, which feed, into his melodic compositions. The Coltrane?Shorter-Rollins trinity remains firmly in evidence in Andy’s playing, but it is translated into a soundscape, which encompasses (at least) fusion, free improvisation, and ethnic music. Everyone plays their part in creating this sound, and it is true to say that Andy is now developing along distinct lines from any of the new generation of indigenous instrumentalists (the continued development of the UK scene depends heavily upon just that kind of diversity which is now seeing, for example, Andy, Courtney Pine and Tommy Smith all moving in very different directions). If he made a strong debut, this record confirms his arrival as a fully?fledged star, and, if there is any justice, will reach an audience beyond that already guaranteed in the sometimes too cloistered jazz hothouse. And that in turn can only be good for jazz. In these sophisticated times, young jazz players tend to acquire the ground base of their skills in schools or colleges rather than in the time honoured fashion, on the bandstand. Saxophonist ANDY SHEPPARD is a notable exception. Andy came up the hard way right from the time of his blinding conversion to jazz at the ripe old age of nineteen, when pianist Geoff Williams played him a John Coltarane record, and set in motion the train of events which bring us inexorably, albeit with a few detours, to these introductions in the dark. The story has already passed into lore: Andy, then more interested in painting than music, immediately hocked his meagre worldly possessions and purchased a second-hand tenor. Within three weeks, he was playing in public, mistakes and all, and has been chasing the jazz life ever since, in his native Bristol area, in London, and during a spell in France where he became involved in the post-modern music-theatre extravaganza Urban Sax. It was the Schlitz jazz Competition of 1986 that finally brought 1 to national attention, including that of this record label. Even though he didn’t actually win, it was his furiously sustained, Coltrane?ish intensity on a lengthy soprano saxophone piece, which made the most profound impression on the night. The immediate result was a contract for his promising debut album as a leader, the 1987 set ANDY SHEPPARD (Antilles), and a considerably higher profile, including being voted (albeit slightly ironically for someone who had been around on the scene for a decade) Best Newcomer in the 1987 WIRE British jazz Awards, an achievement he instantly and deservedly bettered last year by coming in Best Instrumentalist.